Northern Lights Lovely as a Tree, Stampin' Up! Two Step Stamping without Two Step stamps with Christmas Pines, Stampin' Up! 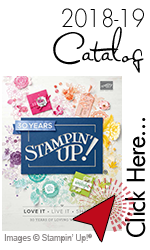 Joy Fold Card, Stampin' Up!